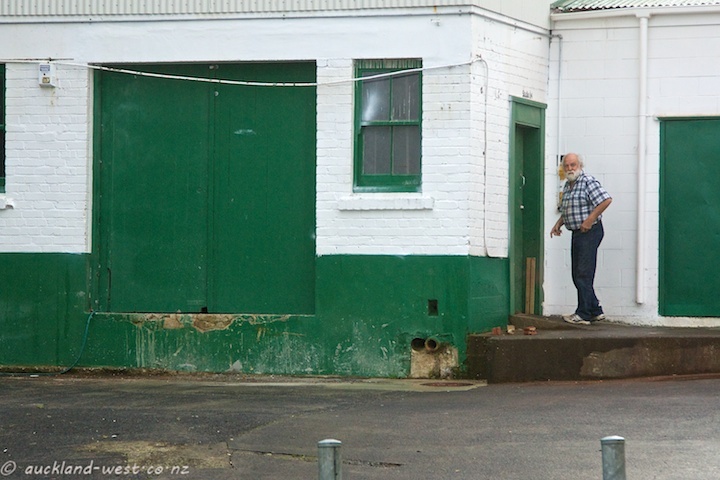 I was taking some pictures of the Still Building at the Corban Estate Art Centre, when ceramic artist Peter Lange walked into my frame, searching for the keys to his studio. 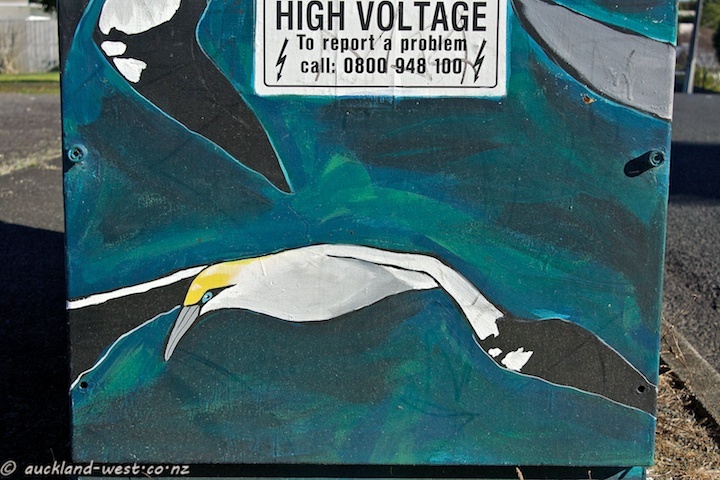 This transformer, painted by an anonymous artist, shows the Australasian Gannets of Muriwai year in, year out. 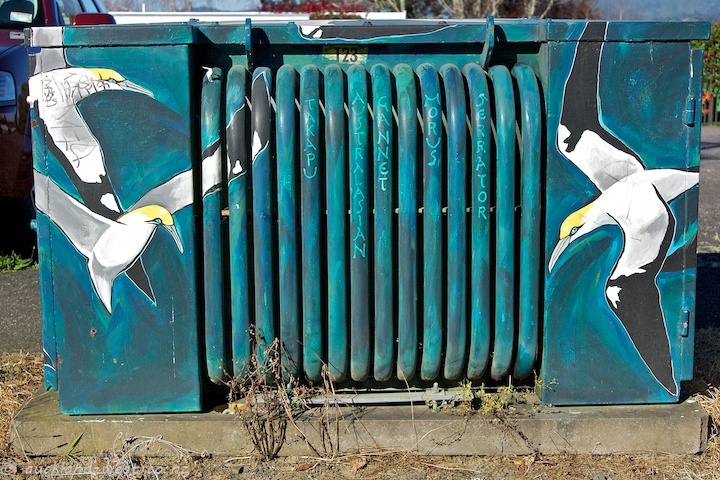 The cooling ducts are inscribed: takapu, Australasian gannet, morus serrator – the names of the birds in Maori, English and Latin. Sadly, this is one of the examples that demonstrates that public art is not a total deterrent against tagging. On the weekend I took part in a Nature Photography workshop with Colin Tyler at the Corban Estate Arts Centre. 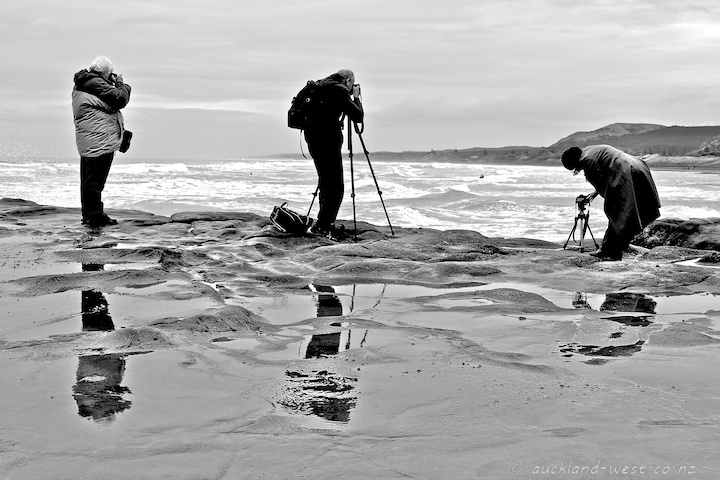 For Sunday afternoon we went to Muriwai, but the weather was about to change. Still, some wave shots and other bits and pieces could be done before the rain started. It was a fairly grey day, but the Manukau Harbour at Mangere was mirror smooth. 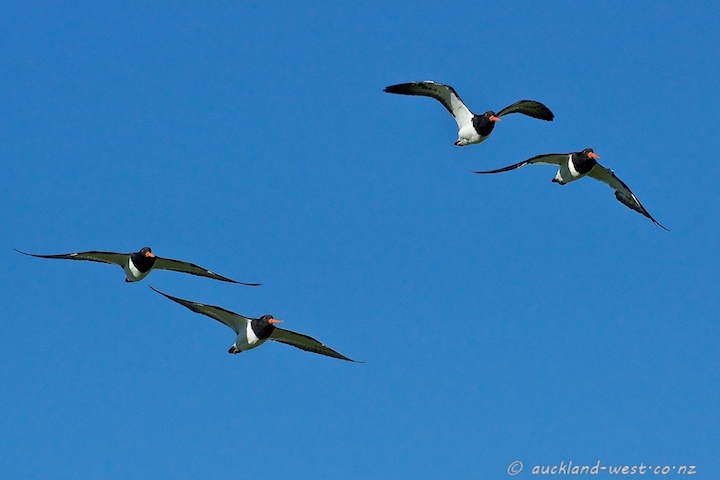 As the tide moves in, these oystercatchers will have to find higher ground. Nice wing stretch. 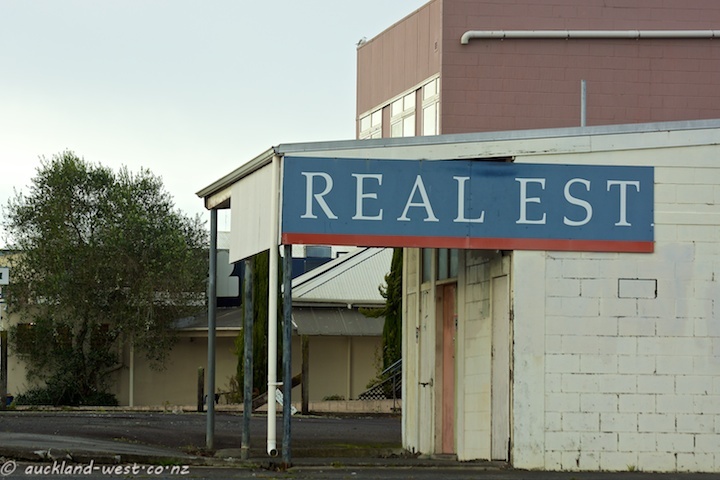 A superlative of reality in Henderson. 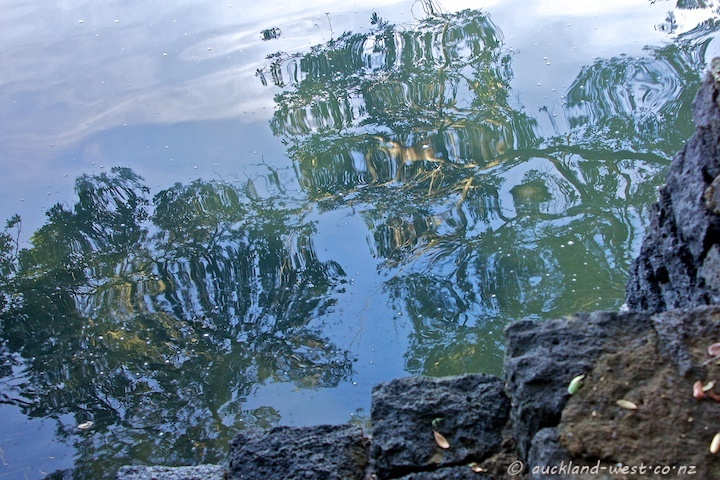 The gentle undulations of the water give a painterly quality to the trees. 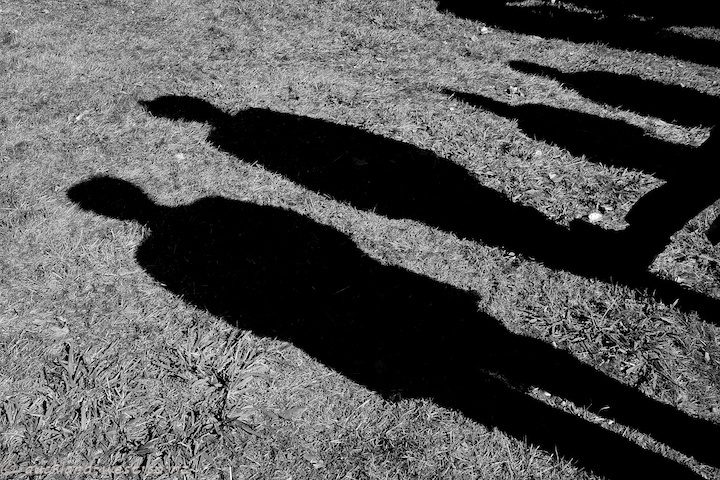 For more weekend reflections, go to James’ Weekend Reflections site. 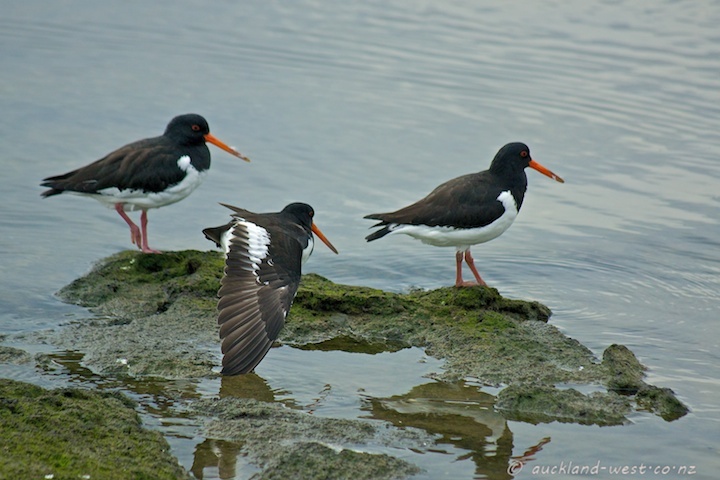 When the oystercatchers have had their rest in their allotted space (and the tide is on its way out), there is only one way to go and that is West to the mudflats of the Manukau Harbour. Seen at our visit to Ambury Farm Park. 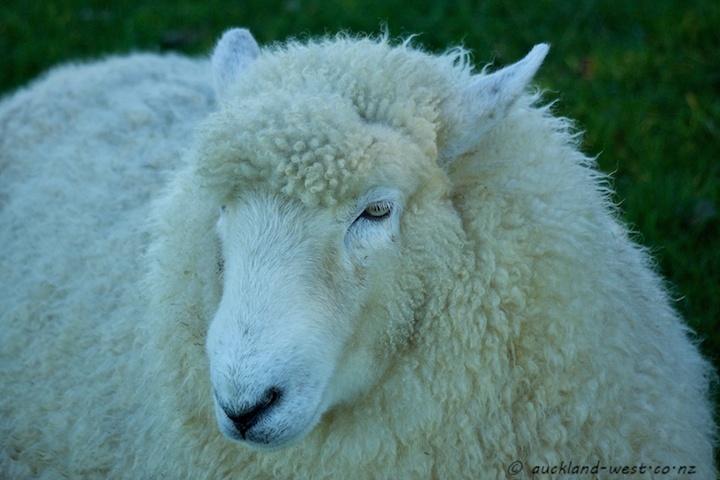 Ambury Farm Park is a working farm run for the enjoyment of the citizens of Auckland by the Auckland Council. You are welcome to wander and mingle withe the animals, watch birds, enjoy the sunshine (if any). 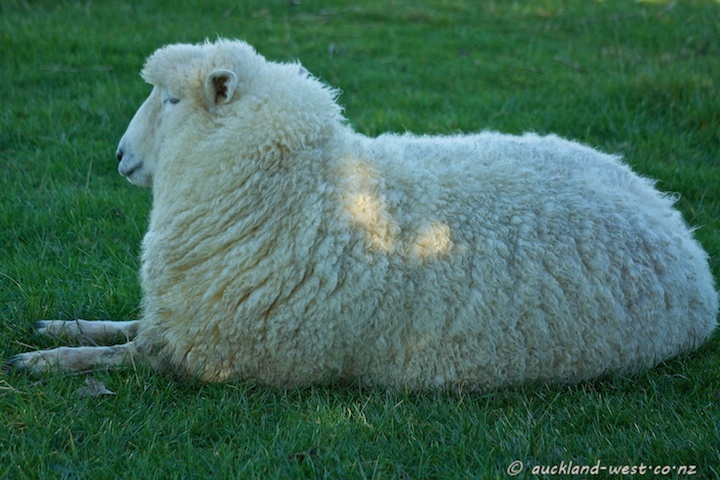 We celebrated the present spell of fine weather with a visit, admiring this fine specimen and envying its coat. Nighttime temperatures go down to 6 degrees C, and if there is wind it tends to be quite nippy. 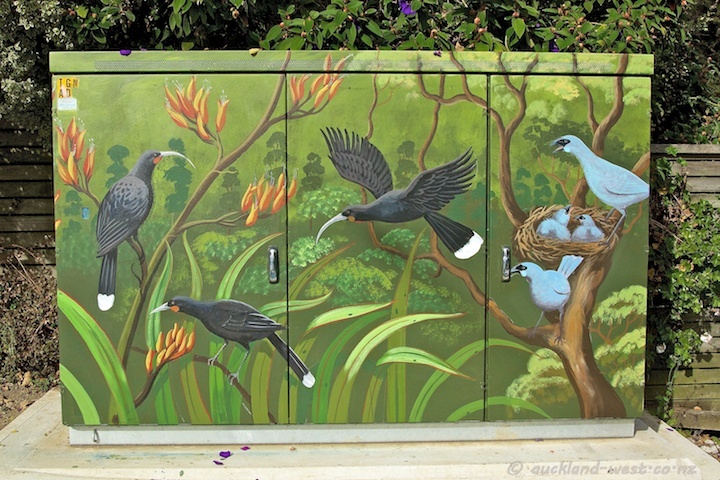 By the roundabout where Woodlands Park and Minnehaha Roads meet Huia Road, Monique Endt has decorated two large cabinets with images of birds in a bush setting. 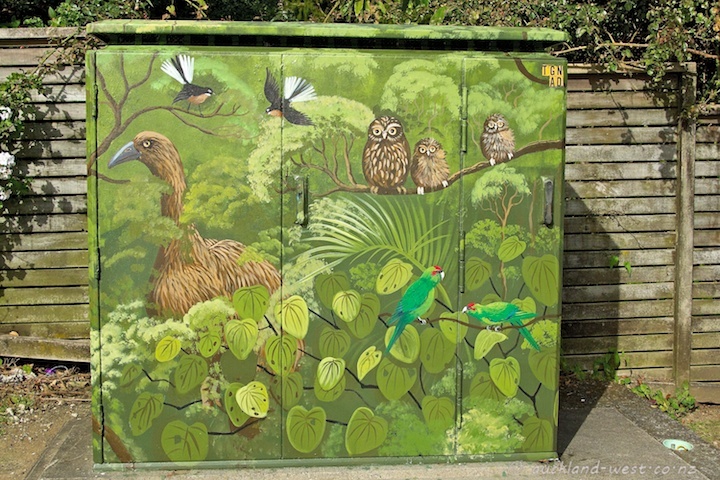 The Huia and Moa are extinct, while the blue-grey kokako and green kakariki are endangered. Fantail and morepork (our owl) are common parts of our avian population. There are many boxes by Monique Endt, some of them on this blog.